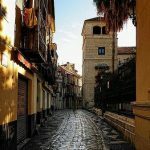 Discover Malaga with our private tours guides! Enjoy our city with a ¨ taylor made¨ walking tour just for you. Ideal for large groups, team building activities, families, or tours in couple. 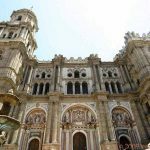 Our private tour guides will share with you the secrets, legends, corners and mysteries and we will answer all your doubts, we will prioritize the monuments you want to know in greater depth. 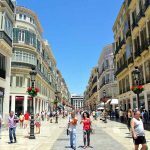 If you want to discover Malaga by your way and you just want to share the experience with your family, friends or partner, this is definitely your choice. A wonderful idea for cruise ship passengers, teambuilding activities, etc. It would be a great opportunity for our private guide to customize your tour thinking about your needs and preferences and giving more importance to what you really want to discover. The standard one lasts 2,5 hours, if you have your own idea let us know. We will adapt to your needs. English and Spanish. We do other languages such us French or Italian under request, please contact us. *If you are staying in a hotel/apartment in the city center, the pick up for this tour is available for free. If you don´t know if your hotel is in the area of the city center, please contact us, we will be happy to help. If you want to be picked up in the cruise terminal please contact us at info@exploramalaga.com. Find your guide with a "Explora Malaga" sign. Flexible: based on the travelers needs. Plaza de la Constitución(Constitución´s square), beside the fountain. Plaza de la Constitución is the most centrical and emblematic square in Málaga´s city center. Belongs to the pedestrian área of our city, located between Marqués de Larios Street and Granada St. 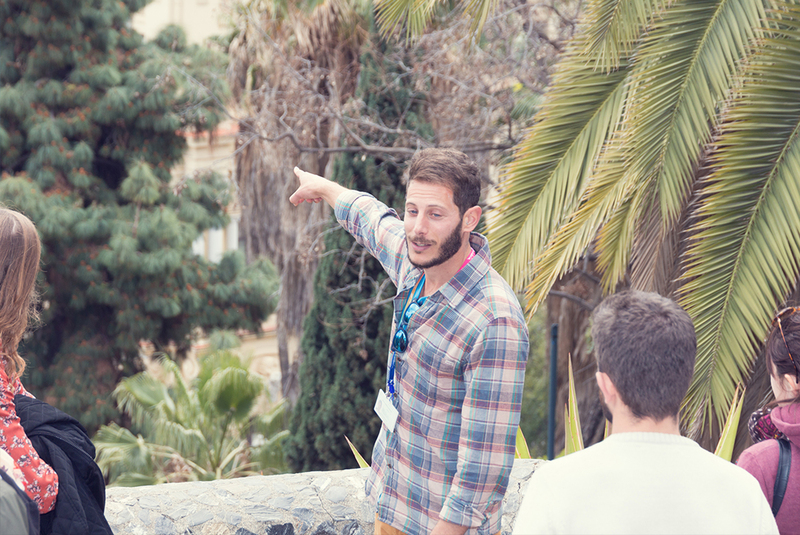 The guide will be waiting for you next to the fountain with a name tag and the “Explora Malaga” sign. Plaza de la Marina (Marina square), beside the information point. 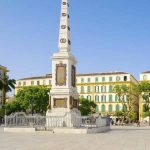 The meeting point we recommend is Plaza de la Marina (All the cruise ships shuttle buses stops beside this square). A Taxi from the cruise ship terminal to the Marina square cost around 10€. *If you want to be picked up in the cruise terminal please contact us at info@exploramalaga.com. Its name and even the square itself changed a lot lately, becoming pedestrian on 2002. As a curious fact, the fountain is not in the middle of the square. 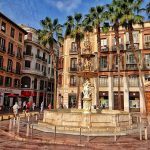 The reason, the huge amount of public events and celebrations, undoubtedly the most emblematic square of Málaga. Inaugurated on 1891, its modern design, and its location, connecting the city centre with the port made Málaga neighbours to fall in love with it. As well as Constitución became pedestrian on 2002. Mainly a shopping área, it’s one of the most expensive places where to rent a shop in Málaga. Built between 1528 and 1782, a mixture of styles that cover from Gothic architecture to even some neoclassic elements. Also remarkable that the cathedral is unfinished, actually was never finished, being the lack of its South tower the most significant incomplete part. Taking the nickname of La Manquita (the English translation would be something like ¨the one arm lady¨. San Agustín Street after the Christian reconquest of Málaga was called the knights Street. Because of the amount of people from the cavalry that started living there. The name changed to San Agustin afterwards because of a monastery from Augustinian´s order. Among others we are going to find Buenavista´s palace, a building from 16th century that contains the main Picasso museum of Málaga. At the heart of Málaga, is hard to explain the importance of El Pimpi for our city. 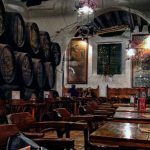 An historical building, a winery, a restaurant, a museum, meeting point for malagueños and visitors, a place that gather together culture and gastronomy, tradition and trendiness. Our roman theatre was built on 1st century. Covered by the muslim, stayed underground until 1951, time when Malagueños discovered it. 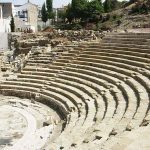 With place for 1.200 people and covered by marble, the theatre was used to do performances, operas but also votings as referéndums of roman´s public life. Alcazaba is a muslim fortress which construction ended on 1026 b.c. A military building but a palace too, being the central office of the city muslim government. On 1931, was declared as an historic and artistic monument of real cultural interest by the spanish government followed by several restorations over the 20th century. Even if we won´t climb Gibralfaro hill, we´ll see and talk on our Free tour of the second muslim fortress. A castle that could control and keep an eye on the whole city of Málaga. Because of this location, the castle provides the best views of the city, the harbour, the beach and the northern mountains. Last but not least our Merced square is a very significant square in our city. Place where probably the most relevant malagueño person was born, Pablo Ruiz Picasso. Next to the painter birthplace we´ll talk about his life and works in our guided visit culmination. 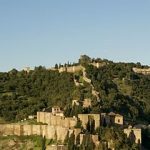 "We booked a private walking tour for myself, husband and daughter for a shore excursion for our cruise stop at Malaga. I was impressed with Explora Malaga from initial contact when I received a very prompt reply from Javier with ideas of what we could do and prices charged. Javier was waiting for us when we arrived at the cruise shuttle bus stop, and we immediately embarked on our tour which was one of the highlights of our cruise. Javier was full of information about Malaga and we discovered lots of interesting things which we simply would not have known if we would have walked around unaccompanied. Javier was able to answer all of our questions, and was very friendly and easy to talk to. The tour was great value too. We paid less for a private tour with Javier than what we would have if we would have gone on a group tour with our cruise company. 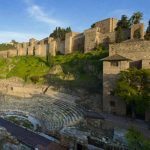 Booking with Explora Malaga also means you're supporting a local business run by local people rather than giving money to the cruise liners who already make enough. Supported by more than 1900 positives reviews. Read our comments here! Reservations are strictly necessary for a private tour. Contact us for more information. Málaga city center is pedestrian and quite flat. The tour is suitable for all ages, even so, we recommend wearing comfortable shoes, a bottle of water. It does not include a visit to the interior of the buildings. If you want to include them let us know so we can customize your tour. There is no problem, please provide us a phone number on the reservation so the guide can contact you in case there is a problem. Not really. As long as you can take a pleasant walk by our city you can join our walking tour. Málaga as our tour is quite flat and quite easy. The guide will adapt to the speed of the group. This tour is for you, if you need to make a stop or more, let your guide know. Yes. There are a couple of easy uphill streets, but have never been a problem. Can we make the tour shorter? 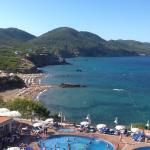 There is no problem, in this private tour you can choose when do you want to start and to end it. We will adapt the visit according of this.